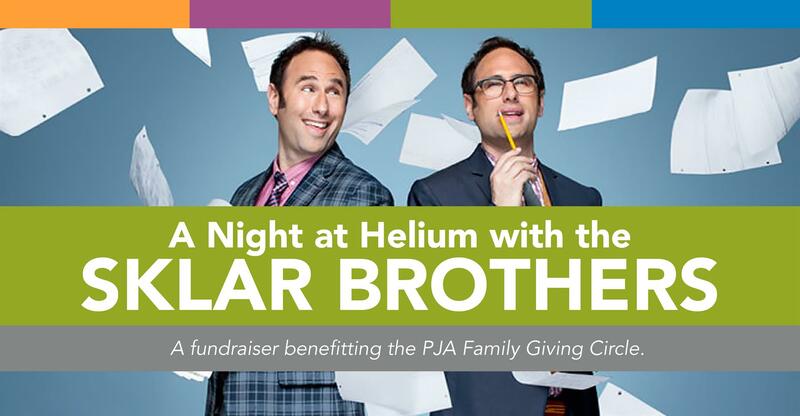 We hope to see you at Helium Comedy Club on Thursday for the Sklar Brothers! Purchase tickets through the PJA website to benefit the PJA Family Giving Circle. Get Your Tickets by Midnight! Randy and Jason Sklar are comedians, writers, directors and actors appearing in a wide variety of shows from Entourage, to It's Always Sunny in Philadelphia, to Maron, and Curb Your Enthusiasm. However, they are perhaps most well known for their show Cheap Seats, a cult hit that appeared on ESPN Classic for 77 episodes. Read more about the Sklar Brothers on their website.